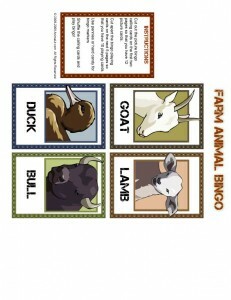 Farm Animal Bingo: Printable Bingo Cards | Animal Jr.
Our printable jungle animal bingo and our princess bingo games are very popular, and we’ve had some requests to add a farm animal bingo game to our site. 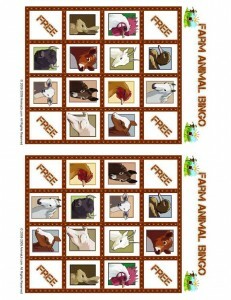 So your wish is our command! 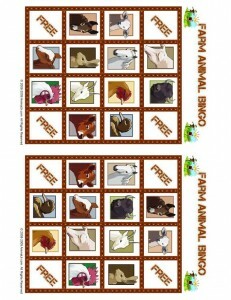 This printable bingo game is great for a birthday party game, a winter break activity or a summer vacation car game. 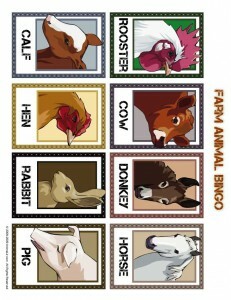 Be sure to also print our farm animal coloring pages too while you are here! 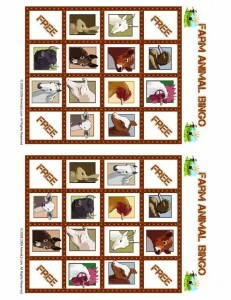 Hey mom Please print this twice so I will 20 cards total. 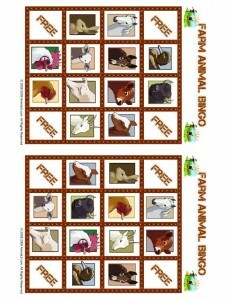 Click on the small image and a larger image will appear. thanks. 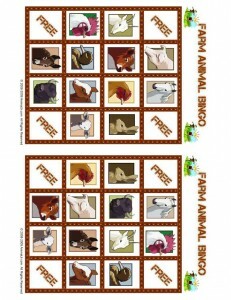 Can you make please penguin bingo sheets? My niece loves penguins.